The social enterprise “Youth Employment and Society Development” is established by a young Vietnamese women group working in Hanoi to support disadvantaged youth. 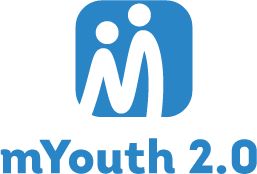 Since 2015, they have started a project, researching the life condition of disadvantaged youth aiming to provide them with good support and meet their needs. YESD works in 2 main areas: Non-Formal Education and Sustainable Tourism. Their goal is not yet large as ‘creating a better world’ or ‘enhancing equality in Vietnam’ because they are just small drops of sand in this enormous world. For now, they want to ignite lights for children in the North of Vietnam by helping them widen their eyes and gain access to proper education as well as career opportunities, maximizing improvements and social impact in human and environmental well-being by operating corporate responsibility programs. They believe in the ideology of Buddhism ‘when giving, you are receiving’, therefore their vision is ‘by giving, you receive more than you expected’. To protect the environment through sustainable tourism activities.